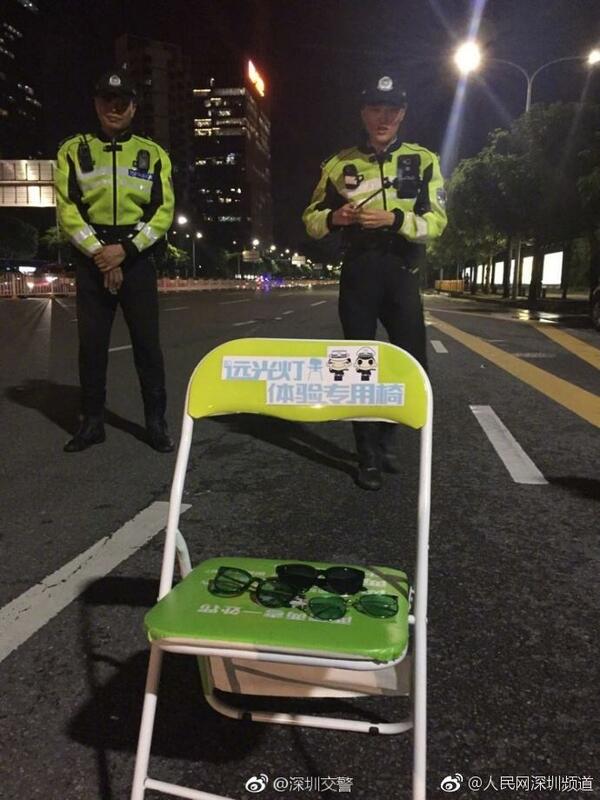 Traffic police from Shenzhen city, in south China’s Guangdong Province, who blind motorists as an extra punishment for driving with a full-beam light at night, have decided to show some compassion by providing offenders with eye protectors. 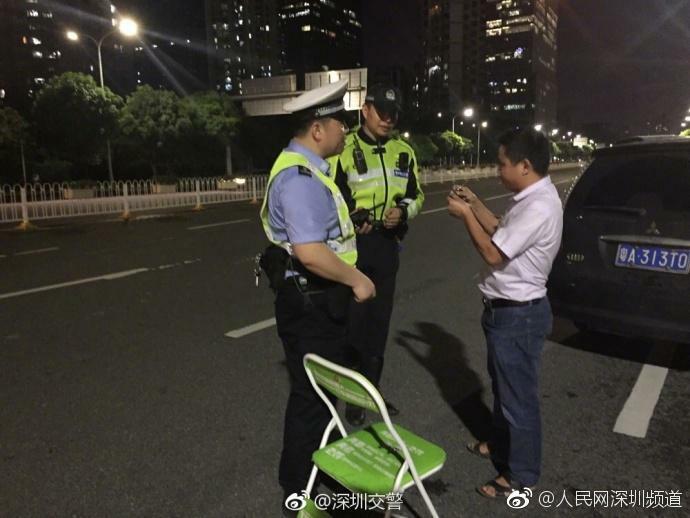 Based on the city’s traffic rules, drivers are fined 300 yuan (US$44) if they leave headlights on full-beam on good lighting or elevated roads, bridges and tunnels. It is also an offence to drive with a full-beam light when drivers are intersecting with people or when cars are coming from the opposite direction. Furthermore, motorists using a full beam when parking are also punished with a one-point deduction from their driving license. Traffic police believe motorists turning on full-beam headlights on a night time triggers accidents as drivers in the oncoming traffic lanes are blinded. 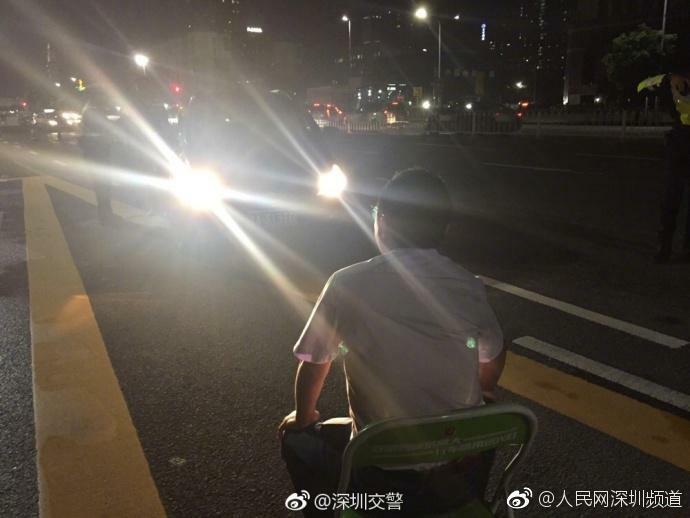 This is why Shenzhen City traffic police introduced a further measure to encourage drivers to abide by the law. 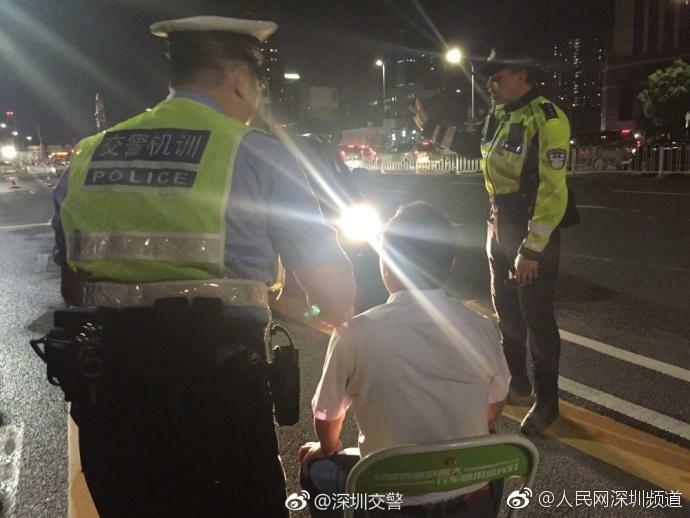 If motorists are found to flout the full-beam traffic legislation then they are made to sit in front of a full-beam light with headlights blasting into their faces as a further punishment. This initiative was introduced last year and it was greeted with a mixed reaction on social media. Half of netizens believed the punishment was justified while some others doubted a full-beam would hurt a driver’s eyesight. 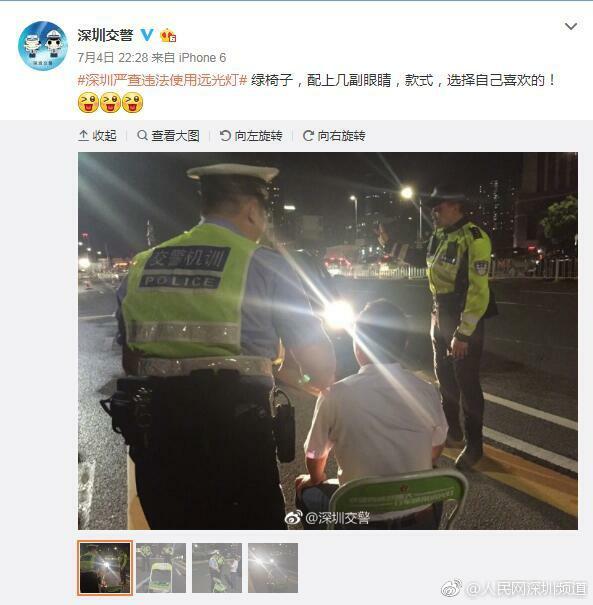 Shenzhen traffic police, sympathetic to their extra Draconian punishment, declared in a July 4 Weibo post that sunglasses will now be available for traffic offenders who have to sit in front of the full beam, which amused many on social media.